Mark Your Calendars for a fun night with friends! No cost to attend. Oklahoma Distilling Co will have “taco of the day” for sale. 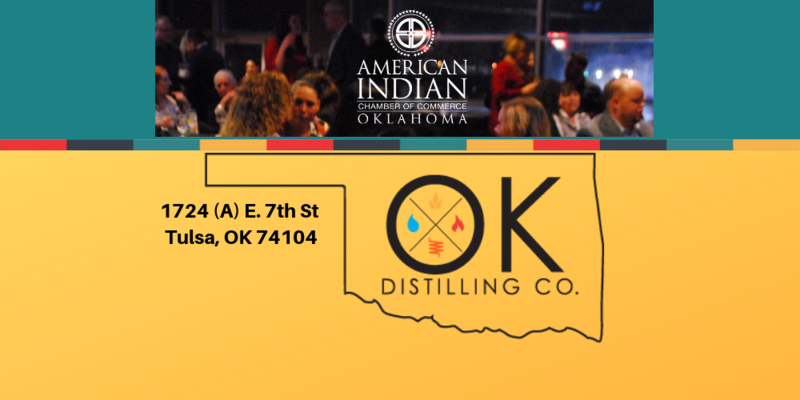 Venue: Oklahoma Distilling Co. is a native-owned distillery in the heart of Tulsa’s up-and-coming brewery district. There is a full-service cocktail bar where all spirits and mixers are made at the distillery for a one-of-a-kind experience. Sister company, Local Cider is next door and is Oklahoma’s first cidery.